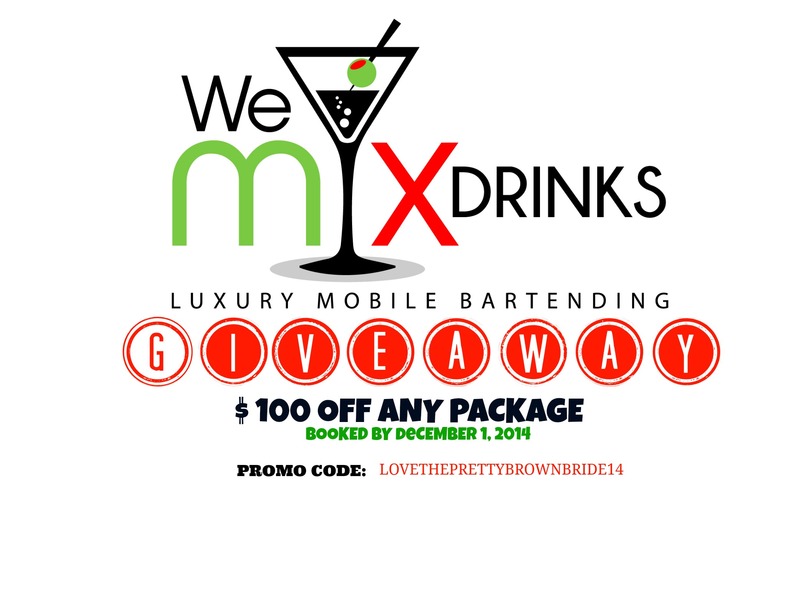 We Mix Drinks LLC, a mobile bar service in the Washington Dc area is offering $100.00 off of any of their bar packages to fans of The Pretty Brown Bride. All you have to do is book your event by December 1, 2014 . Go to their website and insert the promo code LOVETHEPRETTYBROWNBRIDE2014 in the subject line of their contact form.